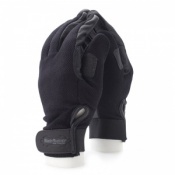 The product code for the gloves is: B8680. 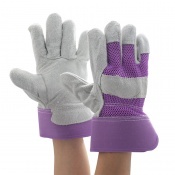 The Jersey Gardening Gloves protect hands from dirt while working with soil and plants, and they also allow hands to work more effectively by improving grip. The palms feature mini dots, which enable the wearer to grasp more securely onto gardening tools, weeds, pots, and other garden equipment. 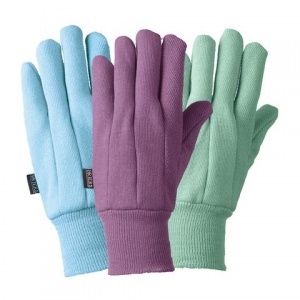 The triple pack of Jersey Gardening Gloves are provided in three colours: lavender, sage green, and blue. Each of the three pairs of gloves adds a touch of fun to your garden attire. 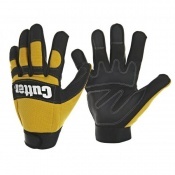 The Briers Jersey Gardening Gloves (Pack of 3 Pairs) B8680 are available in a single size that should be suitable for most users. Please consult the table below for details.